Makers, hobbyists and electronic enthusiasts looking for a project to keep them busy this weekend may be interested in this awesome Arduino temperature and humidity sensor which has been created by Jay and Jamie. Being based in Texas humidity plays a big part when constructing wooden projects and Jay needed a system that was easily red to provide a humidity reading. This was accomplished using an Adafruit Neopixel Ring LED light. 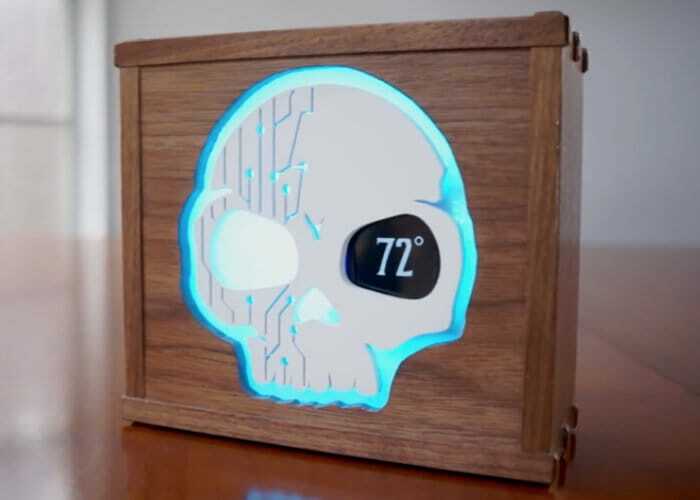 Watch the video below to learn more about how the project was constructed using a 3D printed scale, which has an LCD screen behind its left eye and the Adafruit Neopixel Ring LED behind the frosted acrylic and skull to change its colour as though humidity fluctuates.